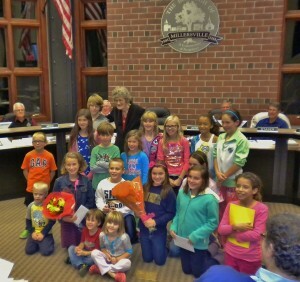 A chorus of “We love you, Mrs. King” rang out at last week’s Millersville Borough Council meeting as Eshleman Elementary students honored Janet King, the crossing guard who, for years, helped them arrive safely at school. Mrs. King retired recently at age 82 after working 26 years as a Penn Manor crossing guard, most recently at the corner of Landis and Herr avenues in Millersville. 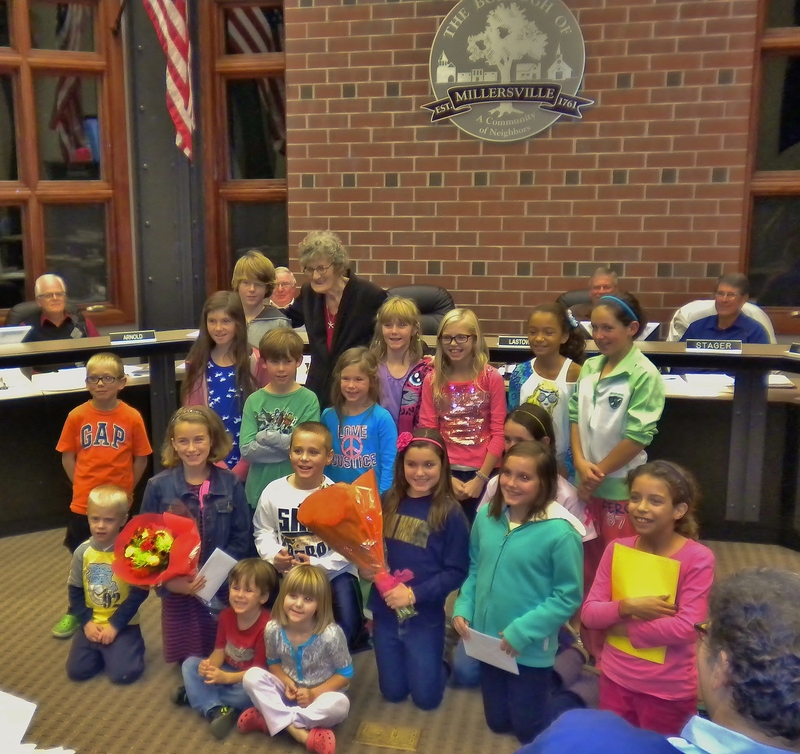 Students presented Mrs. King with flowers and handmade cards, and she received a commendation from borough council, along with kudos from Penn Manor superintendent Michael Leichliter and Eshleman principal Krista Cox, for her service. Thanks, Mrs. King. And enjoy your retirement!